Hotel Borg overlooks the beautiful square of Austurvöllur, in the heart of Reykjavík. The Borg, which has become one of Reykjavik’s landmarks, is conveniently located within walking distance of variety of restaurants, businesses, souvenir shops, art galleries and specialty shops. The hotel’s 56 rooms and suites, with Art Deco style throughout, are elegantly appointed yet offer an extensive array of modern amenities. Hotel Borg is a great hotels for them who want to experience real luxury and be located in the heart of Reykjavík. 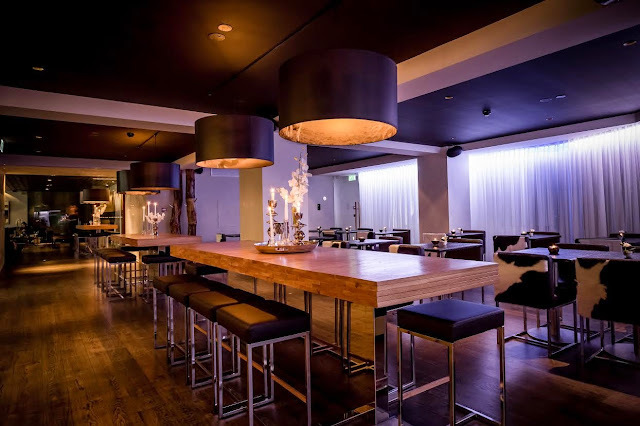 Borg Restaurant in Hotel Borg, offers exquisite Icelandic cuisine served in beautiful and stylish surroundings, along with a café and bar. Centerhotel Thingholt is located in the center of Reykjavík on Thingholtsstraeti. Thingholt offers you a choice of four different room types: Standard, Deluxe, Junior Suites and Loft Suites. The Deluxe rooms are furnished with white leather sofas or a romantic bathtub located next to the bed in the main bedroom. The Junior Suites offer both a sofa and a bath tub and the spacious Loft Suites consist of two floors where the bedroom and living room are separated by a set of stairs. Centerhotel Thingholt is a modern design hotel that offers a great experience for them who want luxury and style. Hotel Ranga is a luxury four start hotel located in south Iceland. Hotel Rangá offers 51 luxurious and cozy rooms in various price ranges, including the renowned continental suites, decorated and themed after the continents, and a master royal suite. The themed suites at Hotel Rangá are truly one of a kind. Designed and themed after each of the seven continents, they provide guests with the ultimate comfort, luxury, relaxation, and experience that is, literally, a “world apart”. Ranging in size from 40-74m², both the junior and master suites are designed and decorated with top notch authentic fashion, decor, artwork, fixture and furnishings coming exclusively from the respective continents. Grand Hotel Reykjavík is one of Iceland´s biggest hotels with total of 311 rooms and 15 meeting and conference halls. This four star superior hotel for travellers, business, conference guests and tourists offers excellent service and facilities. Grand Hotel Reykjavík is located close to the city centre and Laugardalur Sports and Recreational Park. Alda Hotel Reykjavik is a four star luxury hotel located on the main shopping street, Laugavegur, in the center of Reykjavik, Iceland’s vibrant capital city. Suite guests have access to the balcony, where they can enjoy a great view over Reykjavik, Hallgrimskirkja and the mountains in all their grandeur.